Citation: C N Trueman "The Act in Restraint of Appeals"
The Act in Restraint of Appeals (1533) was the start of a political process that effectively transferred the power of the Catholic Church to the king, Henry VIII and his advisors/government. The Act was passed by a Parliament that was anti-clerical as it was and had listed its grievances against the Church as early as 1529. Rather than have a king foist the act on the people – at a time when religion was a hugely important factor in the lives of all people – Thomas Cromwell came up with the idea of giving the act a political and democratic edge. By going through Parliament, it appeared as if the will of the people had been listened to as the MP’s in Parliament represented the people (in theory). Therefore, no one could argue that just a few had imposed the act on the nation. Thomas Cromwell took great care in drafting the act. 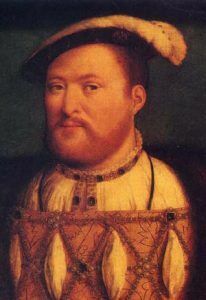 It had to serve the king’s wish, which was to give his divorce from Catherine of Aragon a legal basis, therefore giving legitimacy to his marriage to Anne Boleyn.